1. NO alcoholic beverages allowed on the Trap and Rifle Range. DO NOT consume alcoholic beverages before shooting. 2. Non-membeers MUST be accompanied by a member. Members MUST be with guest at all times. 3. Membership card MUST be shown upon request by any member. 4. Children under the age of seventeen (17) MUST be accompanied by an adult. 5. NO SHOOTING BEFORE 10:00AM MONDAY THRU SATURDAY, AND NOT BEFORE 12 NOON ON SUNDAY. SHOOTING IS ALLOWED ONLY UNTIL DUSK DAILY. 6. NO shooting at anything other than paper or cardboard targets fastened to the styrofoam backboard at the rifle range. Use only clay targets at the trap range. Hand throwers are not allowed to be used on the club property. 7. DO NOT leave any targets on the backboard or on the ground. Pick-up all brass and hulls from the range areas before you leave. 8. Shotguns may be fired at the rifle range, only with slugs to sight in shotgun. 10. MEMBER IS RESPONSIBLE FOR THE ACTIONS OF THEIR GUEST. A VIOLATION OF ANY RANGE RULES MAY RESULT IN TERMINATION OF MEMBERSHIP. REPORT ANY VIOLATION TO THE OFFICERS, BOARD MEMBERS, OR TO ANY MEMBER IN GOOD STANDING. ALL MEMBERS AND SHOOTERS MUST SIGN THE CLUB'S LIABILITY WAIVER BEFORE USING ANY FIREARM, BOW AND ARROW OR THE SHOOTING RANGES. 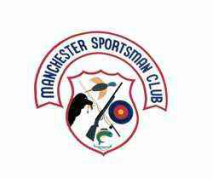 Practice good safe shooting, be aware of the location of houses and buildings around the club when shooting. One mistake could result in the loss of our shooting ranges. Lock the gate when you leave.